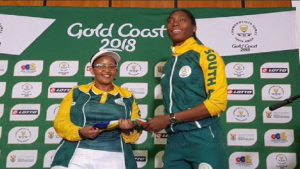 Minister of Sport and Recreation, Tokozile Xasa is expected to leave for Lausanne, Switzerland, Wednesday night to support 800-meter world champion, Caster Semenya in her legal battle with the International Association of Athletics Federation (IAAF). The IAAF has proposed that certain female athletes undergo medical processes to reduce their testosterone levels. Semenya has received widespread support from different corners of the world. Xasa says her responsibility will be to convey messages of support from President Cyril Ramaphosa to Semenya. The post Minister Xasa heads to Switzerland to support Caster appeared first on SABC News – Breaking news, special reports, world, business, sport coverage of all South African current events. Africa's news leader..